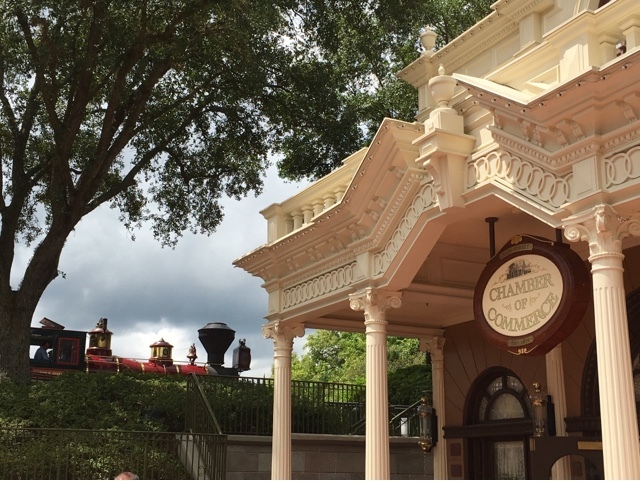 Like many small towns, the Town Square area of Magic Kingdom has its own Chamber of Commerce. This building is used for merchandise package pick-up. Guests can buy something in one of the shops around the park, and it will be delivered to this spot, which is right near the exit. I took this shot last week, shortly after a train pulled into the Main Street Station.